The deadline for the 2017 CT Impact Awards has been extended to April 21. 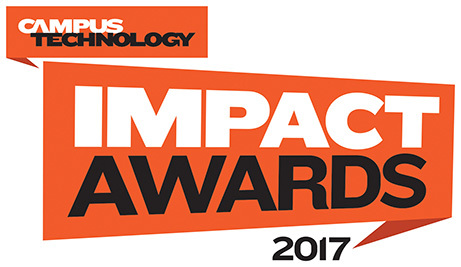 Campus Technology has extended the deadline for its annual Impact Awards: Nominate your technology project by April 21. The CT Impact Awards recognize exemplary colleges and universities that are making an extraordinary impact with technology on campus, doing important work in the service of teaching, learning, administration and operations. Entries will be reviewed by our Impact Awards Judging Committee of higher ed tech leaders. Final winners will be selected by our expert team of editors. For more information, go to the Impact Awards site.